MPS was founded in 2005 with a vision to redefine full-service print and packaging. They partner with customers to understand their needs and focus on developing solutions that exceed expectations.As an international company operating on three continents, they offer global capabilities while maintaining a local emphasis. Summary: Creation of multiple samples for their rigid box development projects. 3D printed samples that will replicate near production/injection moulded quality. • Produce high quality 3D prints of their product designs to show customers. Multi Packaging Solutions already had experience in using 3D printing in the design of their lids and experimental closure systems. The challenge was that these prints didn’t meet the quality requirements or were a true representation of the final injection moulding product they wanted to show their customers. Multi Packaging Solutions also wanted a supplier who could produce products quickly to a high standard locally so they could visit while parts were being produced. Angus 3D Solutions produced these parts on their 3DSystems Projet 3600 3D printer which prints product to a high tolerance, detail and produces a fine finish. This all meeting the requirements required by Multi Packing Solutions in a few days. Summary: Creation of multiple concept, design and production parts for a leading edge patented technology in the vertical growth of plants. Produce high volume of custom parts. Ability to respond to design changes and produce parts quickly to meet these changes. IGS are designing, developing and building the UK’s first fully automated vertical farm at The James Hutton Institute in Invergowrie, Dundee. This project brings both farming and the Internet of things (IOT) together and produces the farm of the future, today. As with any leading-edge technology there is a significant amount of time spent developing the concept idea in to reality through the design process. Angus 3D Solutions is working closely with the design team at IGS to help bring these concept ideas to reality through the use of additive manufacturing (3D Printing). IGS visited Angus 3D Solutions to discuss how both additive manufacturing and traditional manufacturing could be used to help develop the lighting technology required in the vertical farm. IGS engaged Andy Simpson to help design, produce and manage the manufacture of the critical parts. These parts were produced by using both 3D printing and traditional manufacturing technology to provide a responsive, efficient and effective manufacturing service to meet the individual requirements of this project. 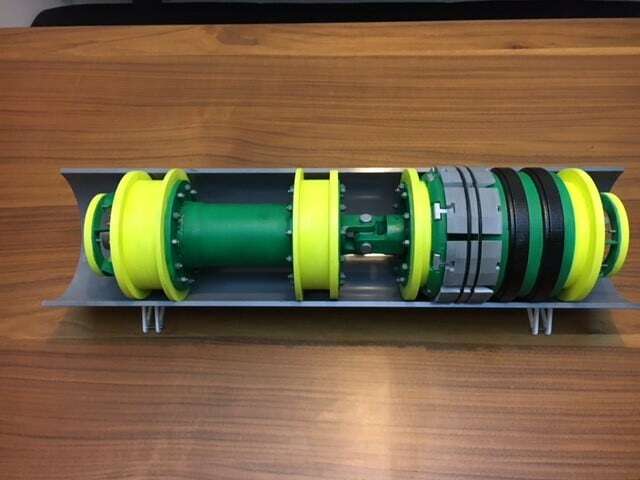 Summary: Creation of two detailed Isolation Technology models to be used at trade shows and customer visits. Challenge: Remove the logistical need and costs in the movement of heavy equipment to trade shows; Ability to show clients the technical features of the equipment at client visits. STATS provided .STL design files for the tools to Angus 3D Solutions who prepared them for 3D printing. 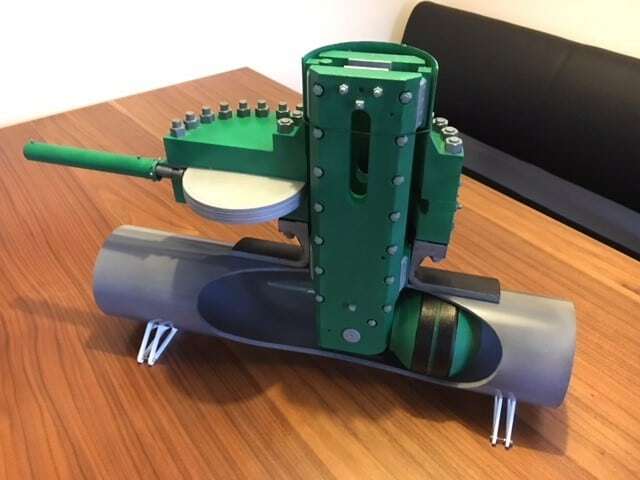 The models were assembled and finished in STATS company branding and shown at the Subsea Expo show in Aberdeen where they generated a significant amount of interest. These models allowing STATS to show, explain and demonstrate the detail working of the equipment easily to clients visiting. These models saving STATS significant costs as it removes the need to move heavy equipment to and from the show as these models are hand carried. Mike and Des Brown are the owners of the only remaining 6 ton overtype Garrett Steam lorry. The lorry started its working life in Linlithgow Scotland but was then sold to the Devon council where it worked there for over 30 years before being shipped out to Toronto Canada. The brothers purchased the lorry in 2013 and shipped it back to Ladybank, Fife where they have spent the last 5 years refurbishing the lorry back to its original specifications. 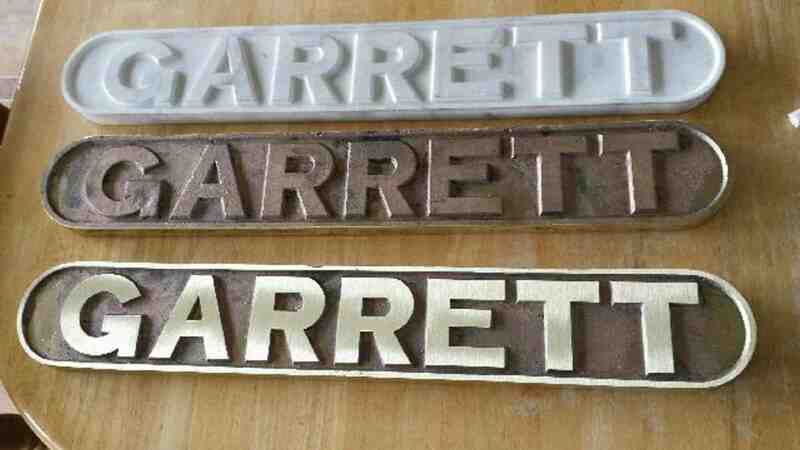 • Summary: Scan original Garrett name plate and Lioness then create a 3D model of both so these can be used as a pattern for casting new replacements. • Scanning the originals to create a digital copy of them. 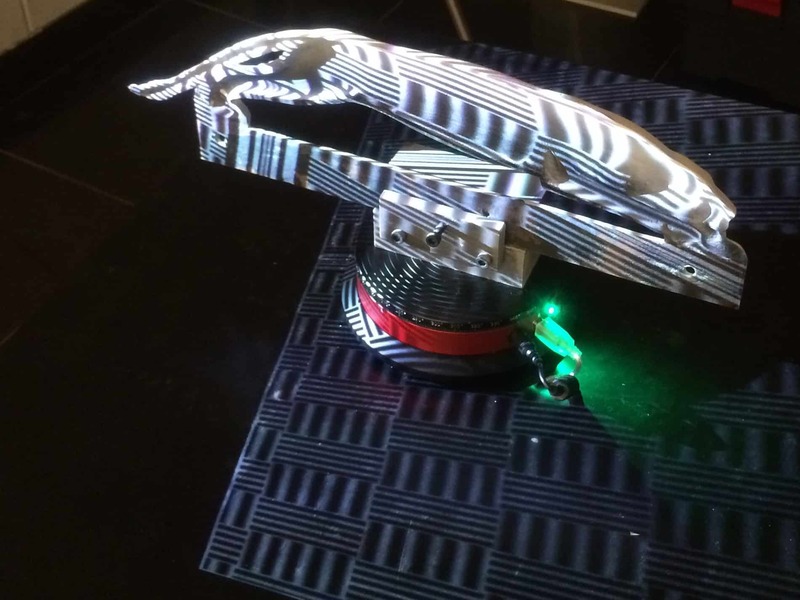 • 3D print patterns to allow casting to take place. 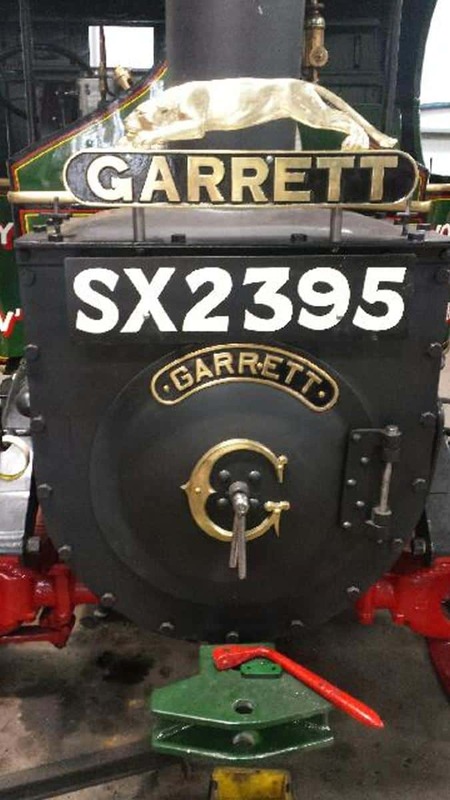 After many years refurbishing the Lorry, Mike Brown approached Angus 3D Solutions to see if they could produce a replacement Garrett name plate and lioness for the lorry as the originals were missing. Mike was able to borrow originals from other Garrett enthusiasts and these were shipped to Angus 3D Solutions for scanning. After the scanning was complete a digital model for each part was produced. In the years since this lorry was manufactured. Technology has developed significantly in manufacturing. However, it was established, even today the best method to produce the replacements was to cast them as they were in 1926. 3D printed patterns were produced of both parts. One of the benefits of using a 3D Printed patterns is the pattern can be produced to an increased scale to compensate any shrinkage from the casting process, thus producing size accurate replacements. 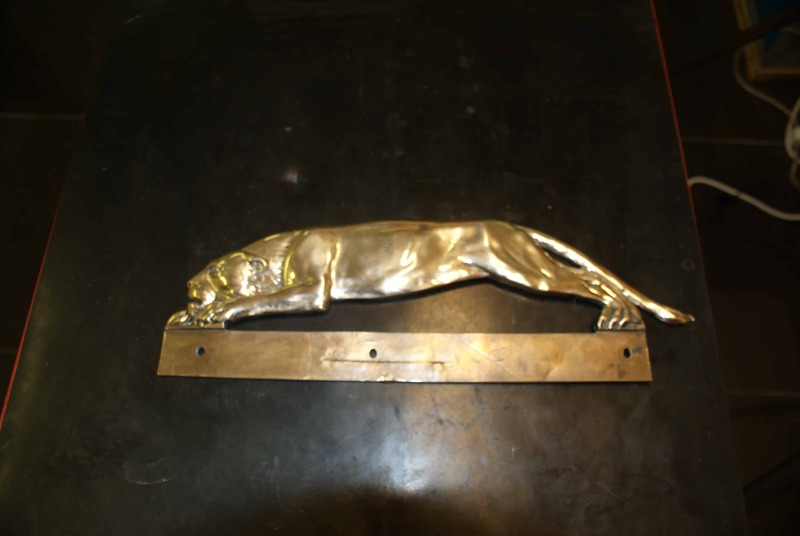 Both the Lioness and Garrett name patterns were sent to a local foundry for casting, then hand finished and mounted to the lorry to finish off a loving project.